After premiering at Hot Docs, and winning the award for Best Canadian Feature, Haida Gwaii: On the Edge of the World is opening at the Bloor Hot Docs Cinema this weekend, tickets and showtimes can be found right here. An archipelago located on the North Coast of British Columbia, Haida Gwaii is one of the most stunningly beautiful natural places that our country has left to offer, and filmmaker Charles Wilkinson has captured a sense of this beauty in Haida Gwaii: On the Edge of the World. A spectacularly filmed portrait of the people who live there and the rich traditions of their culture, the documentary provides an engaging look at the environmental activists and eccentric locals who are fighting to protect the place they call home. This includes Severn Cullis-Suzuki, David Suzuki’s daughter and fellow activist, who lives there with her family, and a woman who has inspiringly taken her home off the grid through solar panels and a homemade wind turbine. We are shown the heartbreaking ways that their land is being destroyed through logging, commercial fishing, and increased tanker routes cutting right through the trees, as well as the irreversible damage that would be caused by the government’s proposed Northern Gateway oil pipeline. These things not only present grave danger to the livelihood of the locals, but also threaten to severely throw off the natural balance of the land, and have vast negative impacts on the environment as a whole. 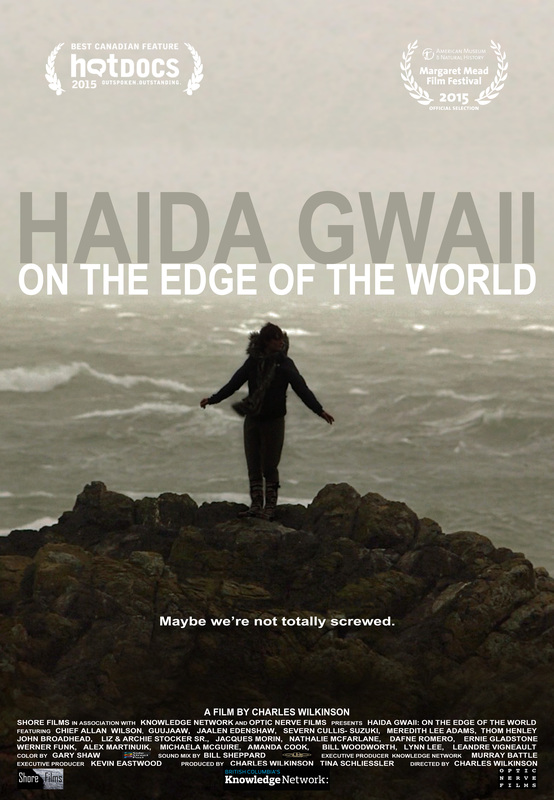 But Haida Gwaii: On the Edge of the World becomes all the more powerful because it ends on an inspiring and moving note of hope, with a rousing cover of the song “Carry On” that proves the Haida people have no plans to give up their land without a fight. Featuring some of the most beautifully captured and composed images of any documentary this year, this is a must see for all Canadians who are passionate about the wellbeing of our natural world.